There are many tasty versions of this concoction - the versatility being another reason why this is for everyone. 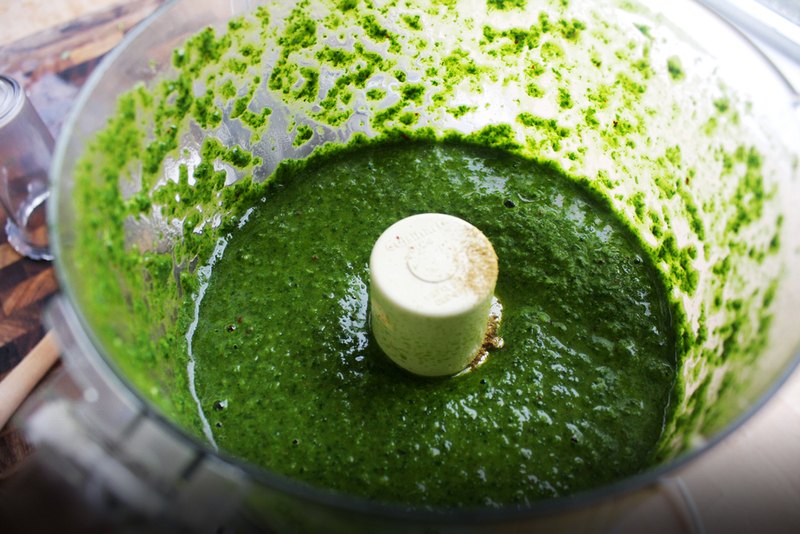 Drizzle this chimichurri on some tofu, potatoes or steak. Hopefully, my version inspires you to make your own. Crack not included. Rough chop the garlic cloves. 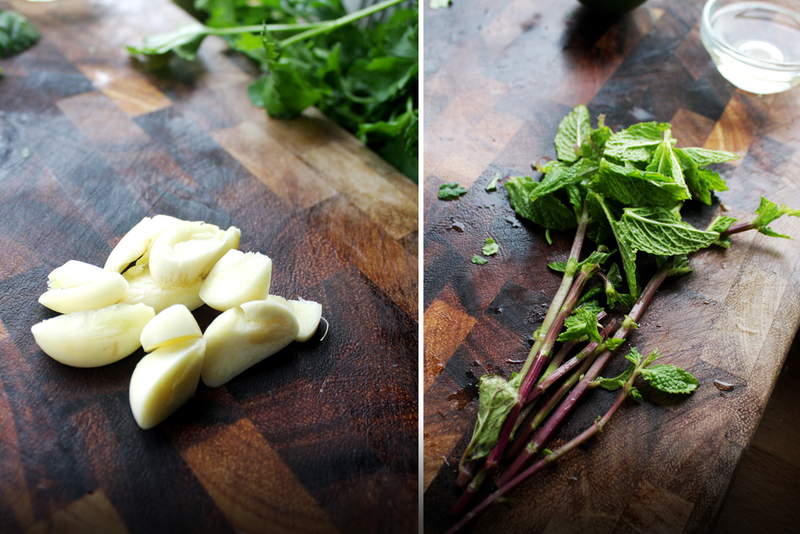 Pick the leaves off of the mint stems. 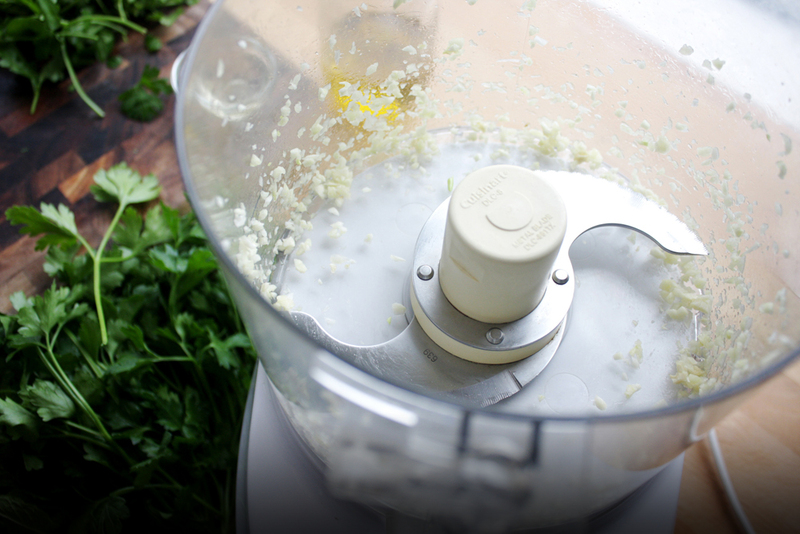 Pulse the garlic a few times in the food processor to get break it up. 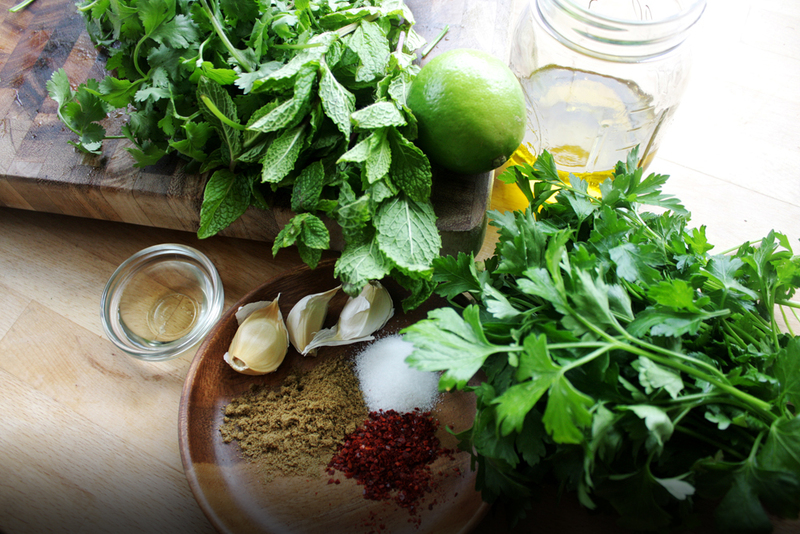 Add the parsley and cilantro with stems, and mint leaves. Add the cumin, gochugaru, salt and lime juice. 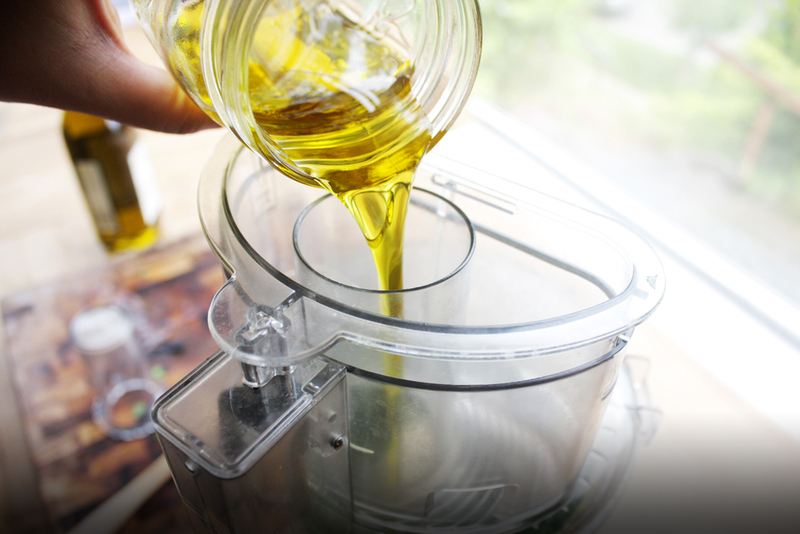 Turn the food processor on, and slowly add the vinegar and olive oil. 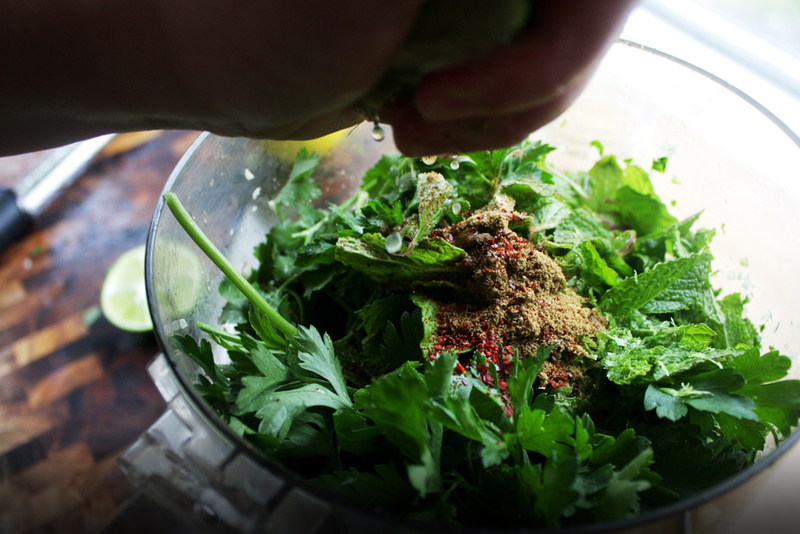 Leave the food processor on until you get the desired consistency. Serve on top of tofu, potatoes or steak. - Can be made a few days ahead of time.